Our entry editor for BlogBuilder is fairly basic in that it does not provide any WYSIWYG functionality. We do however try and make life easier for people by letting them use either HTML or the super-simple Textile markup. 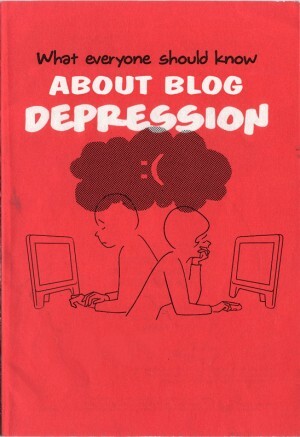 Watch out for blog depression! Worried about lack of comments? I really need to try and get Atom support into BlogBuilder. This is a great article all about Atom to get up to speed on the standard. One of the things that we really need to work on is out interoperability with the outside world beyond Warwick Blogs. We've started with accepting external trackbacks, but there is plenty more to do. Chris suggested we should try integrating with Technorati too. RSS is great…you can get RSS feeds from Warwick Blogs…here is a list of other things you can do. IBM is about to launch a huge corporate blogging initiative to try and encourage as many of its 130,000 staff to start blogging and evangelising about IBM on the web. The goal is to help improve IBM's competitive position in key IT markets by having more of its tech gurus participating in online communities and discussions. This type of evangelism through blogging can be extremely effective and potentially reduce advertising and marketing costs – a very large line item for most companies. Such savings could offset job cuts – the traditional way IBM and other tech companies reduce their costs. On this news, Jonathan Schartz has offered their Sun Policy on Public Discourse to IBM as a basis for their T&C's. I wonder if we need a document a bit like that. Scott Wilson has published screen shots and ideas for an eLearning Aggregator tool. There are some really nice ideas in there. He's mainly imagined using tools to pull in RSS feeds and info from 43 things, Learn Direct and blogs. After months and months of waiting…I'm finally doing some work to improve galleries. And yes, you will very soon be able to delete and edit galleries! Yay! What strikes me is how you end up putting these things off for ages (mostly because no one was really shouting about it), but then you get around to doing it and it takes a matter of about 2/3 hours. Doh. I'm surprised more people haven't been moaning about it really, there are 10,000's of images in Warwick Blogs now, and not very good facilities for organising them. Along with these changes, there should be more little tweaks and possibly some bigger gallery features coming soon. On Thursday, John, Steve and I went to the Blogs in Action 2005 conference in London. SixApart, organised the conference, I say conference, but it was pretty brief/small. Starting at 6pm and finishing just 2 hours later, followed by wine/snacks, it was over a little too quickly for my liking, but useful none the less. I think the best speaker of the evening was John Dale who has been putting to gether Warwick Blogs for Warwick University (which look like a pretty stunning implementation of the weblog concept inside an academic context). I think the part of his talk that surprised me most was that of everyone I've ever seen trying to market and publicise weblogs they seem to have done it best. They had a whole series of pretty stunning stickers and posters and fridge magnets that they distributed all over the campus. There's some stunning stuff in there. As I said the other day, I think it's the best block of publicity that I've ever seen around weblogs – it gets across the concept, the aspiration, the aesthetic. Very very classy. I already knew plenty of bits about the panellists' topics, but the presentation by John Dale, who I've been consulting with over the last couple of months, on Warwick University's weblogs went down especially well with the likes of Tom Coates and Neil McIntosh. Final highlight (is three out of five too many for 'highlights'?) was John Dale who gave a fascinating account of implementing blogs at Warwick University, not just for academics but for all students and workers. Creating their own blogging platform gave them a degree of flexibility and integration with existing systems that they could not have had from a commercial solution, and it took them only nine months to go from concept to full launch. The blogs have been very successful, the surprise being that students' blogs aren't all bacchanal debauchery but have included some intensely personal writing and some well reasoned commentary. It was a speaker from an academic institution who was, by common consent, the star of the show. John Dale came to show off Warwick University's blog setup – a home-made blogging system which looked as if it had been assembled with great thought and wonderful attention to detail. Tom and I – along with quite a few in the audience, it seemed – were drooling over the advertising they'd come up with to encourage students, a notoriously apathetic crowd, to use them. The tactic was just simple messages, but delivered with real style, that got across exactly what a personal blog should be doing (that's an example above). Alistair Shrimpton had found some interesting speakers, especially John Dale of Warwick University, talking about WarwickBlogs, a project to get everyone there blogging together. Highlight was most definitely John Dale talking about the very ambitious and very successful project to make blogs available to all Warwick University staff and students at Warwick blogs….Plus all the design work seemed to be very user-focused. John Dale manages development for IT services at the University of Warwick. More than 2,500 students and staff have signed up for the university’s blog service, making it one of the largest academic blogging operations. John believes that blogging will open new opportunities for students and staff. …made it sound like an ideal opportunity for a loo break. It was, in fact, a very interesting presentation on the evolution of Warwick’s blogging community and John turned out to be a charming and irreverent presenter. It always helps when you start out smart and bring the funny. He and his team have created warwickblogs, a facility for university students and staff to get their own blogs simply and easily. It has been a huge success, and his combination of clever advertising, great webpage design and homegrown coding is possibly the best implementation of blogging I've seen so far. As for what I got from it. I particularly enjoyed Tom Coates' talk, reminding us that a blog is essentially a personal thing and that writing about a specific thing is never going to be as sustainable as just writing about what you happen to love at the time. Important for us too was the talk from David Carr with reference to blogging/commenting and the law. Scary stuff. What also blew me away was the fact the SixApart now have 85 employees of which half are "engineers". I spoke to Loic Le Meur from SixApart afterwards about what the hell he was going with so many programmers. In reality, they have not got 40 people developing TypePad, most of them are actually doing installations of TypePad for other companies and maintaining their own infrastructure that hosts millions of blogs. Phew. A lot of people also mentioned how great Warwick Blogs looked and how great our advertising was…so kudos to Hannah! I'll not go into much detail because the charts speak for themselves. Everything is going up! (more or less). So, after a week of struggling on and off with performance problems, I finally nailed it last night. Sometimes you just need to look at things from a different direction. I'd been really concentrating on garbage collection tuning, hibernate sql tweaking and investigating caches. I did find small problems in all of those areas, but nothing that could really explain why things were going quite so wrong. So, having eliminated those, I started looking at the access logs again…and there it was. Staring me right in the face was several requests in a row for a particular page in blogs that we'd unlinked months ago because we knew it was slow. But there were the requests anyway. Even though it was unlinked and blocked by a robots.txt and there had been no requests to it for months, suddenly at the start of February, lots of requests started coming in. It turns out that the Google image search had indexed it a long time ago and finally someone was finding images on that page and requesting them a whole bunch of times. Moral of the story: Don't just unlink something, disable it completely! On the plus side, I've learnt a hell of a lot more about tuning this kind of app in the process, but still a frustrating time none the less.